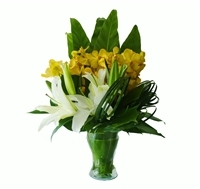 Flowers arrangement with yellow orchid and white lily. 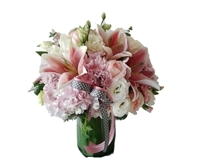 Flowers arrangement with green orchid and white lily. 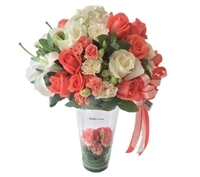 **Some of the flowers colour is only available in the seasonal, please contact us for more information. 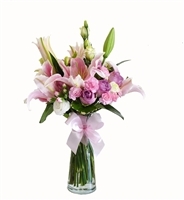 **Some of the flowers is only available in the seasonal, please contact us for more information.